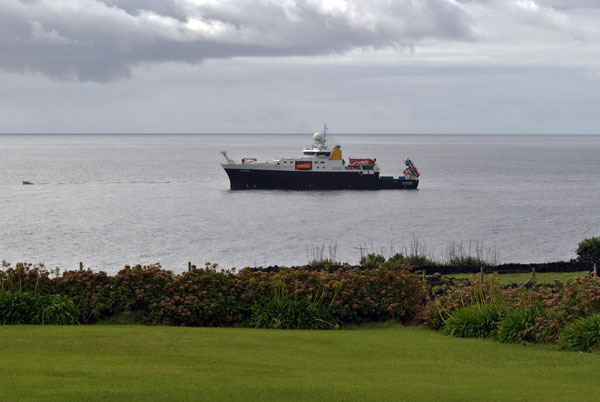 Reports of vessels visiting Tristan da Cunha, and voyages to and from the island. 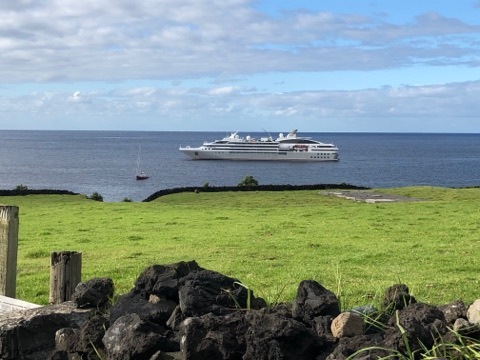 Details of cruise ships that regularly or occasionally visit Tristan da Cunha. 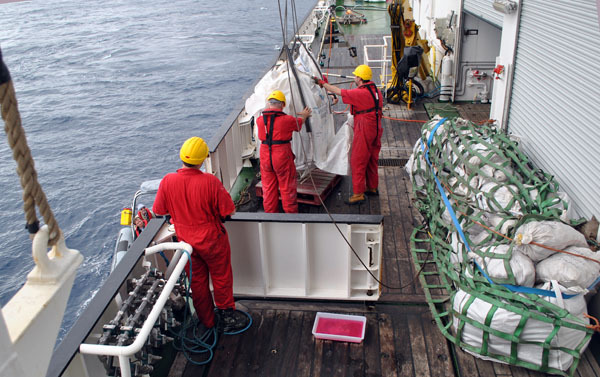 The RRS Discovery returend to Tristan on Saturday 30th March 2019 for a busy final day of the Tristan leg of its Blue Belt expedition. 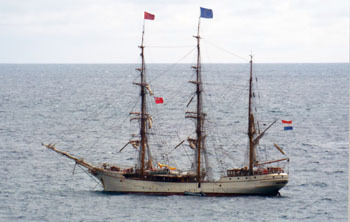 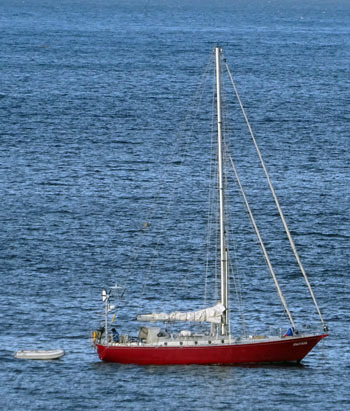 In addition to taking on board the three team members (Oliver Yates, Katie McPherson, Stephanie Martin and Marthan Bester) who had been on Tristan since 22nd March, the vessel also took aboard islanders Kelly Swain and Riaan Repetto, travelling to St Helena for training, and WSP harbour works engineer Gerhard Kapp after his fourth visit to the island. 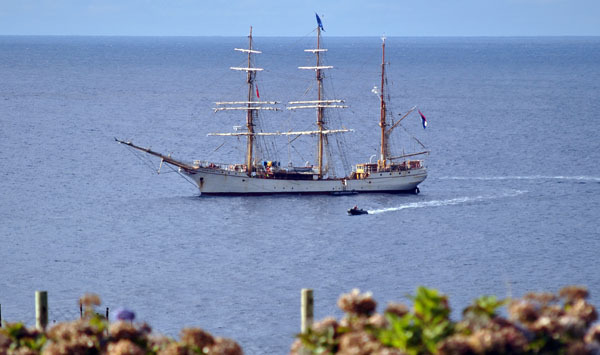 In a typically generous gesture to friends on St Helena, islanders loaded sacks of fresh quality Tristan potatoes as presents for Saints when the ship arrives in a few days' time. 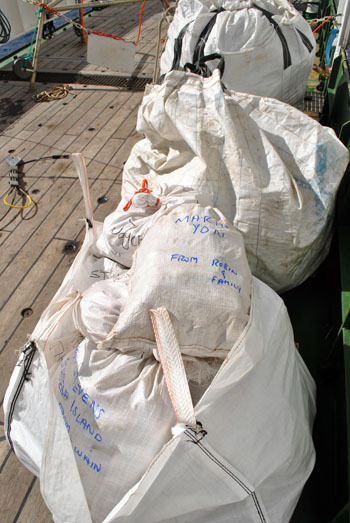 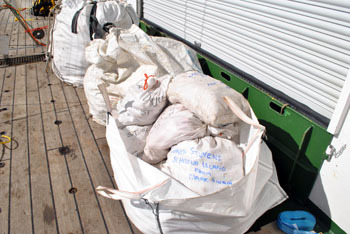 The photos show the sacks on the deck of RRS Discovery. 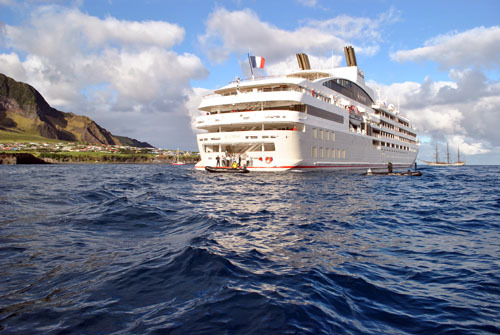 The cruise ship Le Lyrial was able to take aboard five Tristan passengers bound for Cape Town.